My goal in life is to help goal driven individuals achieve their highest level of success because I’m one myself. 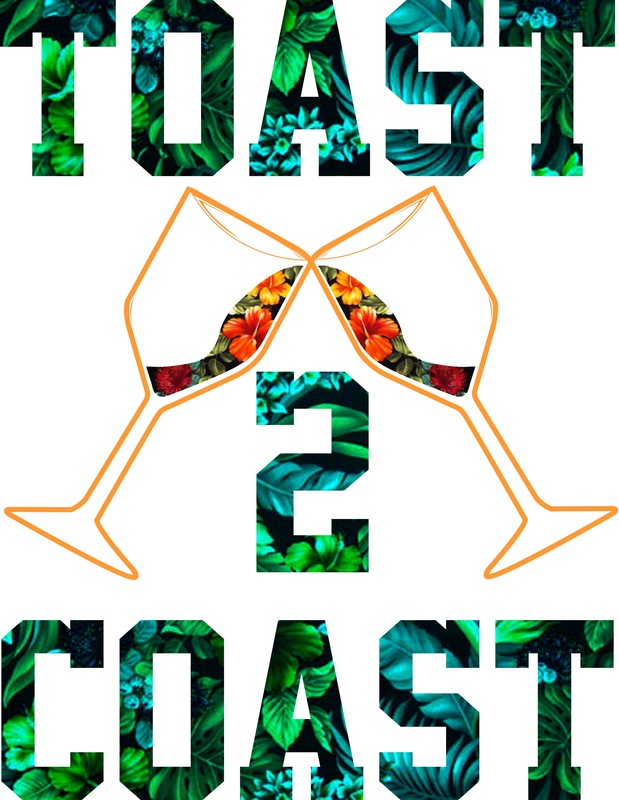 Toast 2 Coast is a brand that relies solely on setting goals and achieving them by executing a plan. Once your plan is executed then there’s something to celebrate! For better words the brands vision correlates with following a recipe in the kitchen. When we’re hungry, we cook meals that more then often we know how to prepare. However, what about those times we cook things that are foreign or we’ve never made before? We all do this…we tend to gravitate to the instructions and read step-by- step how to cook the meal and follow the recipe. A recipe is nothing more then the necessary ingredients and steps to follow to get a desired outcome. T2C would like for people to treat new goals like a meal they have never prepared in the kitchen and follow the recipe. Cooking is forming your very own personalized plan to get you your dream job, house, car, spouse, whatever it may be. But the first step to cooking is that you must be hungry to get what you desire. Eating is when you begin to apply your plan. Having a plan is one thing and executing is another. Eating is done when you are taking the necessary steps towards accomplishing your goal. You eat once you’ve followed the recipe! Celebrating can be done when you have taken steps in the right direction towards accomplishing your goal. Celebrate your success with others in hope that it will motivate them to achieve some success of their own. This is how winners circles are formed. You can celebrate milestones, and If you have long term goals you can break it up and celebrate short term goals that lead up to it. Don’t forget to raise your glasses and Toast 2 Coast. Once the cycle is finished it should be repeated and you will find yourself more productive and more importantly not complacent. This entry was posted in chef, cooking, fashion, Uncategorized and tagged 2, celebrate, cheers, clothing, coast, eat, hungry, recipe, success, toast.